Government has secured a $ 78 million credit from the World Bank to improve education as part of the recently launched Education Sector Project. Out of the amount $33 million has been allocated to tertiary institutions to be operated as a Teaching and Learning Innovation Fund (TALIF). Paul Effah, Executive Secretary of the National Council for Tertiary Education disclosed this at the second matriculation of the Wisconsin International University College in Accra. He explained that the TALIF was available to be assessed by tertiary institutions, which would submit proposals based on clearly defined criteria. He said as part of the government's desire to assist private tertiary institutions in the country two per cent of institutions that had been accredited by the National Accreditation Board at least for three years. Mr Effah said there was the need to re-define the missions of the institution to make tertiary education more relevant to the aspirations of the society. “By far the most serious challenge appears to be inadequate funding”, he said noting that until recently, government had done tertiary education funding. He noted that despite the competing demands from other sectors of the economy, the education sector took about 30 per cent of the national recurrent budget, with up to 15 per cent going to the tertiary sector. 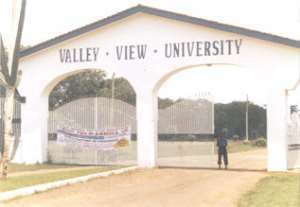 The Principal of the college, Rev Dr David Dartey said the university, which was started in 2000 with nine International MBA students, was now offering Master Programmes in Adult Education and Business Management.